An hypothesis about what (possibly) happened. 1. 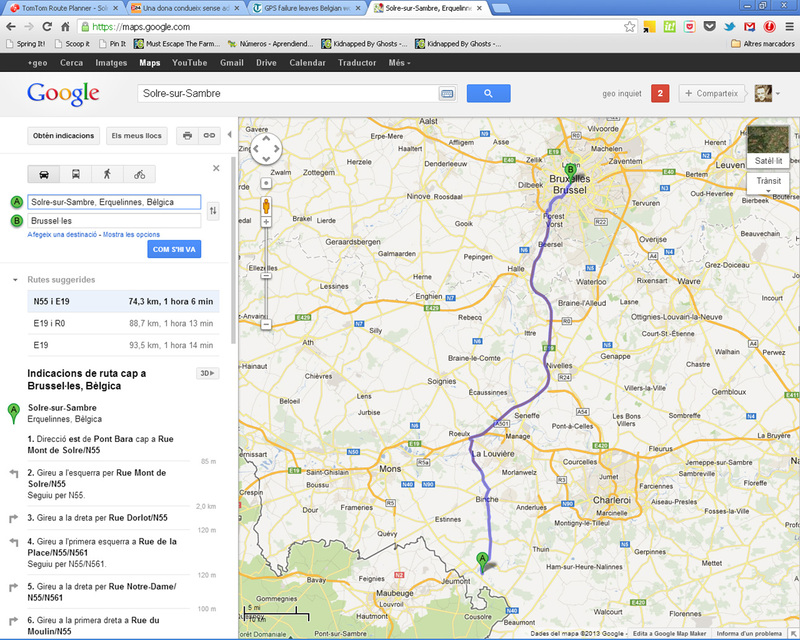 The starting point of our “research” is Google Maps. 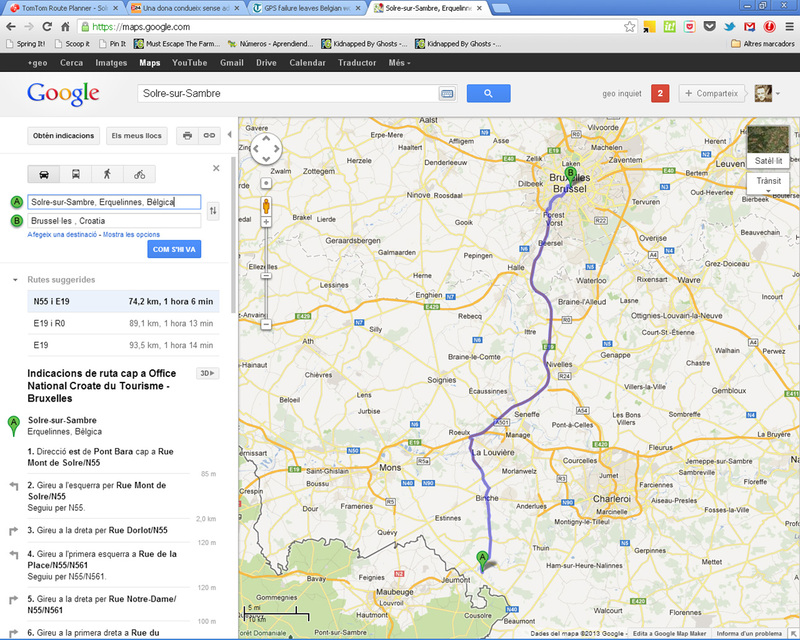 1.1 From “Solre-sur-Sambre”, where the woman started her trip, to “Brussel·les”: returns a logical route to the city center in just 1 hour and 6 minutes. 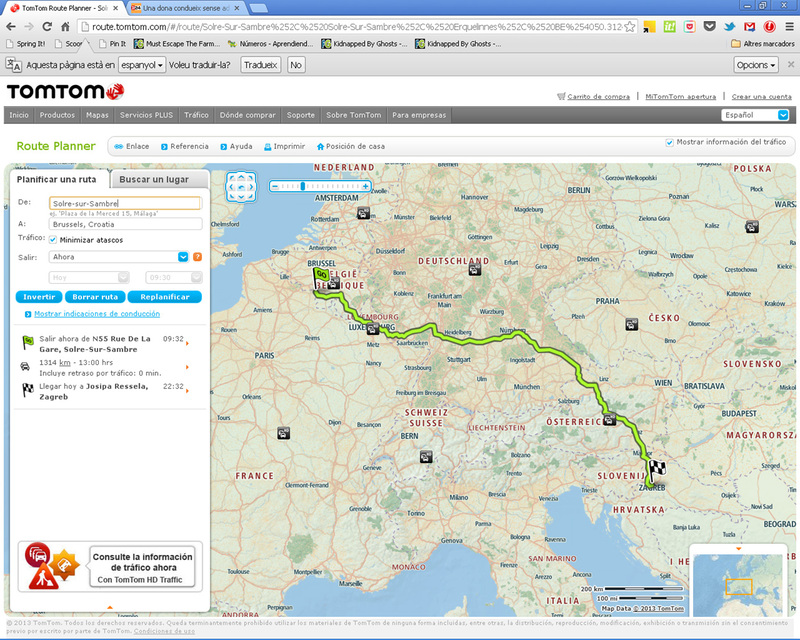 1.2 Now we start the test: From “Solre-sur-Sambre, again, to “Brussel·les, Croatia ”, returns a route to the “Office National Croate du Tourisme – Bruxelles”, which seems also a logical answer to our inputs. 2. We then turned to Google Earth. 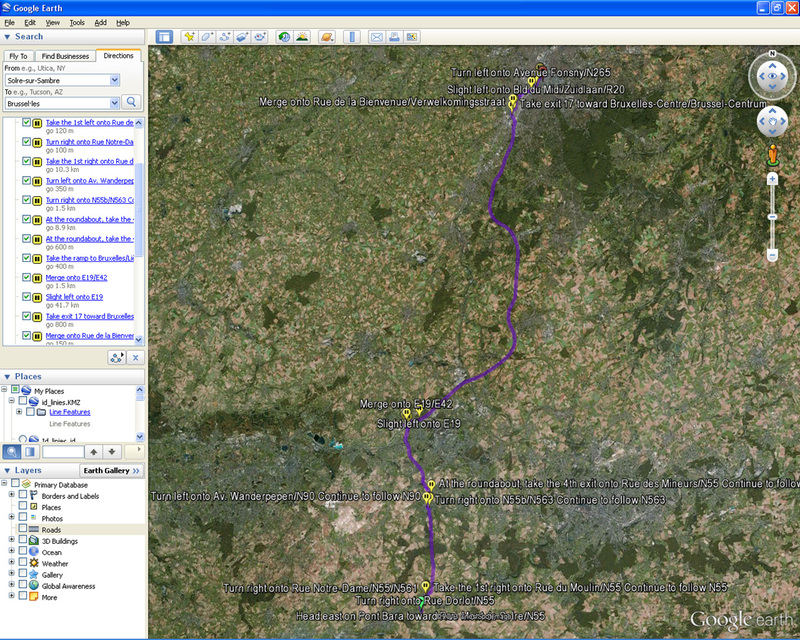 2.1 From “Solre-sur-Sambre” to “Brussel·les” returns a logical route to the city center. 2.2 From “Solre-sur-Sambre” to“Brussel·les, Croatia”, returns a warning: “We could not undestand yous search”, which seems a logical answer to our query. 3.1 From “Solre-sur-Sambre, again, to “Brussels” (the entry “Brussel·les” returns this note: “The destination could not be found. 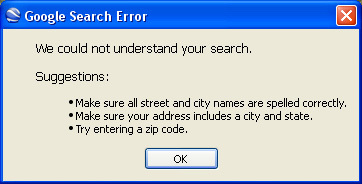 Please check that the address has been entered correctly.”), it returns a logical route to city center. 3.2 The query “Solre-sur-Sambre to “Brussels, Croatia”, returns a 1313 km route to “Josipa Ressela street” in Zagreb (perhaps where the Belgian lady finished her trip). At this point we must consider that finishing the route in “Brussels street” or at the “Belgium embassy” in Zagreb would be quite logical but why was she taken to Josipa Ressela street, where there seems to be nothing related to Belgium there? 3.3 The query “Solre-sur-Sambre to “Brussels, Russia”, returns a 3482 km route to “Brusneva” street in “Stavropol”, close to the Black Sea (looks like the old lady was fortunate to end in Zagreb!). 3.4 Going on, the query “Solre-sur-Sambre to “Brussels, Germany”, presents us with a list of two location candidates in Germany, which don’t seem to share much with Brussels city. 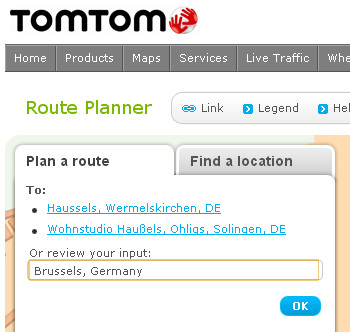 Anyhow, the route planner puts the decision in our hands as to where we want to go. 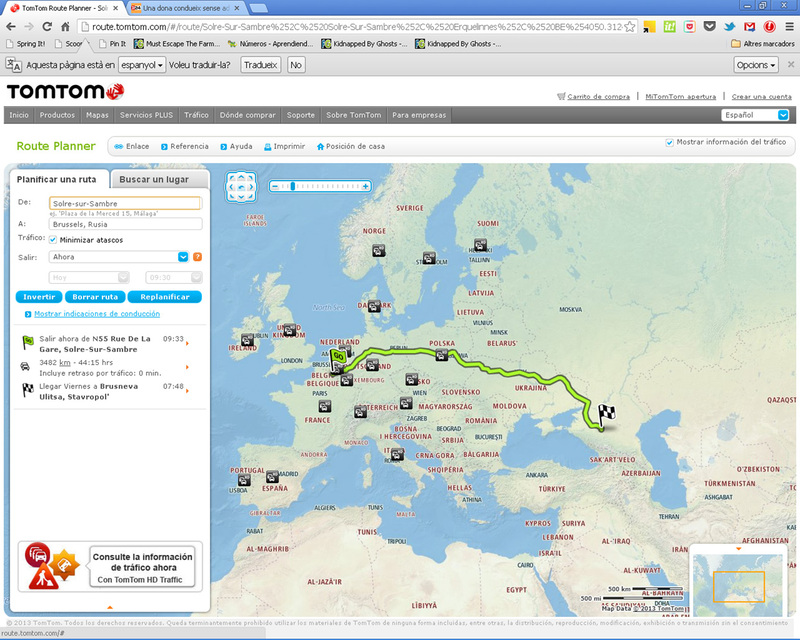 Trying to understand the way how Tomtom route planner works evidences that all our “strange” destinations have similarities in their orthography with “Brussels”: Ressela, Brusneva and plenty other examples in countries like Slovenia, Slovakia, Austria and a few more countries you can check for yourself. 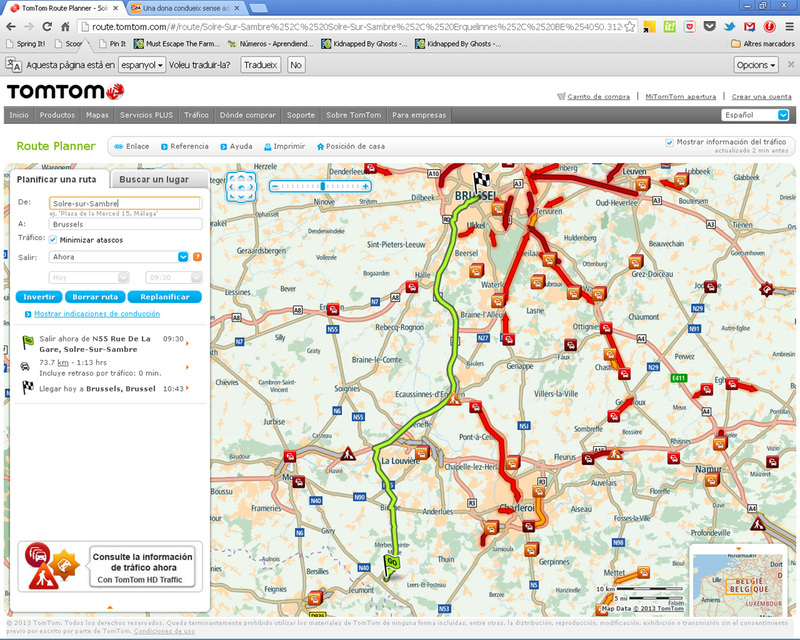 After all these queries in different systems (Google Maps, Google Earth and TomTom) our best guess is that probably the Belgian lady was using a TomTom system to get from one place to another. Obviously we can’t be certain, but it looks like a sure bet. Tomtom route planner engineers (provided the system used in this example was really one of theirs) must improve the algorithms to solve user input in order to help us navigate and drive safely. Human judgment, discretion and common sense must always prevail over technology! And remember: blindly following directions from a machine is not advisable.